"No one is more qualified to speak for the service of Brick Stone Masonry than our past clients, and we greatly appreciate those who have taken the time to review us and send personal notes of thanks and testimonials. If you are viewing this page, it’s probably because you are faced with the decision of choosing a reputable masonry contractor and we realize how challenging that can be. Brick Stone Masonry, great price, great workmanship! Responded quickly to my call for an estimate stayed in connect with me during the repair. Started and finished in a very timely matter. Clean up was excellent. End result … GREAT JOB!" "I am totally satisfied with the work that Brick Stone Masonry did for me. 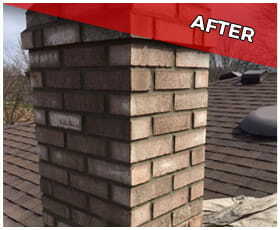 They came and fixed the cracks in the brick siding and cleaned the area up to perfection." "My experience with Brick Stone Masonry was a positive one. Great job on the brick repair." "I have worked with Brick Stone Masonry for the past 10 years on professional quality landscape construction projects. I would not consider working with anyone else. 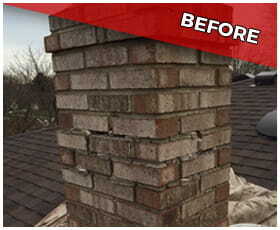 Brick Stone has earned my trust and loyalty over our many years of work together." "These guys do excellent work! Nice neat and clean." "Brick Stone Masonry has completed multiple jobs at my home and the work is always exceptional, on time and on budget. Raffaele is professional, courteous and obviously takes pride in his work. Not only is the work always great, but the prices are competitive. I will continue to use Brick Stone and would highly recommend them to my friends and neighbors. "All went very well. Raffaele was professional and personable." "Raffaele (Brick Stone Masonry) is very professional and prompt; with excellent communication, work and craftsmanship. I was very pleased at how accommodating Brick Stone Masonry was and highly recommend them. Outstanding honesty and hard work. He now has a customer for life." "Extremely pleased with the quality of the work. Mortar is very nice, the brick work matched our existing brick. Unless you were informed, you couldn’t tell it from the original. Nice people to work with. Very pleased with the job. Thank you so much. I give this company a five star review."